A man found guilty of repeatedly exposing himself and masturbating in view of his next door neighbour, who had partially succeeded in an appeal due to a lack of corroboration, has had his original conviction restored after the Crown appealed against appeal court’s decision. Ricky Taylor was given a restriction of liberty order and a community payback order with a period of supervision after being convicted of “coercing another into being present during sexual activity”. But the Sheriff Appeal Court reduced his sentence after ruling that only one of the incidents was corroborated. Now, after the Crown appealed against that decision, the High Court of Justiciary has restored the original conviction. The appeal raised the question of whether the doctrine of “mutual corroboration”, as set out in the case of Moorov v HM Advocate 1930 JC 68, can apply where the individual offences said to constitute a “single course of criminal conduct” persisted in by the offender were all committed against the same complainer; and where, necessarily in such circumstances, the only separate source of evidence relied on for corroboration is evidence from an independent witness to one of the offences. It also raised the question whether the Moorov doctrine could be used to corroborate evidence from the complainer about a number of incidents where those incidents were not charged separately but were included within one single “composite” charge. 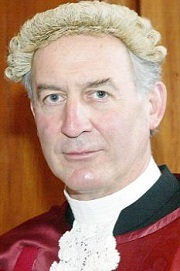 Lord Menzies, Lord Glennie and Lord Turnbull heard that the respondent was convicted at Aberdeen Sheriff Court of a contravention of section 5 of the Sexual Offences (Scotland) Act of 2009 for exposing himself, attracting the attention of his neighbour and masturbating on four occasions between 16 October and 16 November of 2017. The court was told that the neighbour, Ms SLD, spoke to seeing the respondent masturbating in his bedroom on two occasions in October 2017 and one in November 2017. On each of those occasions, he had been standing at the bedroom window, which he had tapped to attract her attention during one of the incidents. She told her partner, Mr R, what she had seen and he observed the final episode on 16 November from an upstairs window in their house. On that occasion, the respondent had masturbated in the kitchen, after whistling to attract the attention of the first complainer. At the close of the Crown case a defence submission of “no case to answer” was made, which was repelled by the summary sheriff. The basis of the summary sheriff’s decision was that she considered that the corroborated incident, being so close in time and character to the other incidents which were spoken to by the first complainer alone, amounted to a “course of conduct” with the result that support for her account could be provided by the other witness’s account in relation to the final incident only. The respondent appealed against his conviction on the basis that only the final episode, that which occurred on 16 November 2017, was corroborated. Two questions were set out within the stated case: firstly, whether the summary sheriff entitled to repel the submission of no case to answer; and secondly, whether the summary sheriff entitled to convict the appellant of four incidents rather than the one incident of 16 November 2017. The appeal court answered the first question in the affirmative, as it was conceded that there was evidence from two sources in relation to the incident on 16 November, meaning a no case to answer submission could not have succeeded in relation to the whole charge. But in relation to the second question, the appeal sheriffs held that each incident required to be corroborated. For the Crown, it was submitted that the Sheriff Appeal Court had erred in determining that there was insufficient evidence to corroborate the libel in its entirety. The Sheriff Appeal Court was correct in determining that each of the four incidents encompassed in the libel required to be corroborated, and also in determining that the complainer’s evidence about the fourth incident was corroborated, but it erred in deciding that the principle of mutual corroboration could not be applied to proof of the other three incidents witnessed by the same complainer. It was argued that the Sheriff Appeal Court erred in holding that the conduct spoken to by the neighbour could not constitute a single course of conduct systematically pursued by the respondent such that the principle of mutual corroboration could apply; and erred in holding that the evidence of her partner in relation to the fourth incident could not provide the necessary corroboration. Allowing the appeal, the judges ruled that the sheriff was entitled to convict the respondent of all four incidents. Delivering the opinion of the court, Lord Glennie said: “It is competent to libel in one ‘composite’ charge a number of instances of criminal behaviour, particularly where a course of conduct is alleged. This is frequently done in practice. Where, albeit within a single composite charge, the incidents of criminal behaviour are separate and distinct, possibly separated by substantial periods of time between them, each such incident requires to be proved by corroborated evidence. “However, there is no reason to doubt, even in such a case, that if the separate incidents of criminal behaviour libelled in the composite charge show similarities in time, place and character of commission such that they can properly be said to form part of a single course of criminal conduct persisted in by the accused, corroboration may be provided by the principle of mutual corroboration. The judges observed that the Sheriff Appeal Court appeared to have taken the view that the case of Spinks v PF Kirkcaldy 2018 JC 177 was authority for the proposition that whenever separate incidents were libelled in a single composite charge each incident had to be separately corroborated by two sources of evidence directed to the particular incident, but that was not correct. It was submitted on behalf of the respondent that the principle of mutual corroboration could only apply to a situation where the single course of criminal conduct persisted in by the accused involved offences against more than one person; and that the corroboration had to be in the form of evidence from more than one complainer. But the court said there was no basis for either proposition. Lord Glennie explained: “At to the first, true it is that the ‘classic’ Moorov case tends to involve two or more complainers each speaking to actions of the accused perpetrated against them; and, indeed, the doctrine of mutual corroboration arose out of the perceived difficulty in finding corroboration in a case where the accused perpetrated separate criminal acts against individuals in circumstances where there were no other witnesses or likely sources of corroborating evidence. “But there can in fact be no justification for limiting the application of the principle to cases where there is more than one complainer. After all, a succession of criminal acts directed against the same complainer is as redolent (perhaps more so) of a single course of criminal conduct persisted in by the accused as those same acts would be if directed against a number of different individuals. The point is that evidence concerning one incident may corroborate evidence concerning another incident, even against the same complainer, provided that there is relevant evidence from more than one source. “As to the second proposition, it cannot matter whether the corroborating evidence is given by another complainer or by some other individual who observed and is able to speak to the relevant events…There have in fact been cases where the Moorov principle of mutual corroboration has been applied in circumstances where the corroborating evidence came from witnesses who could not properly be described as ‘complainers’. Nothing in Moorov itself suggests that the doctrine is limited to a case where the acts are committed against different complainers or where the evidence is from different complainers. The court concluded: “In the present case all four incidents were spoken to by Ms SLD. The last incident was also spoken to by Mr R. His evidence serves two separate purposes. First, it provides direct corroboration of the fourth incident, which took place on 16 November 2017. Accordingly, if the four incidents had not been so closely connected as to attract the application of the Moorov principle, Mr R’s evidence, combined with that of Ms SLD, would have been enough to have secured a conviction on that fourth incident. “But secondly, Mr R’s evidence was separate and independent evidence concerning the events of 16 November 2017. Leave aside for the moment the fact that Ms SLD also spoke to this fourth incident; Mr R’s evidence about what happened on 16 November 2017 was sufficient, applying the principle of mutual corroboration, to corroborate Ms SLD’s evidence concerning the first three incidents. It was evidence from a separate source which, taken together with the evidence of Ms SLD, enabled all four incidents to be corroborated on a Moorov basis. If Mr R had been named in the complaint as a complainer to the fourth incident, clearly his evidence would have provided classic Moorov corroboration of the first three incidents. It can make no difference that he was not a complainer but simply a witness. The case was continued for further submissions to be heard on the effect of the decision on sentence.